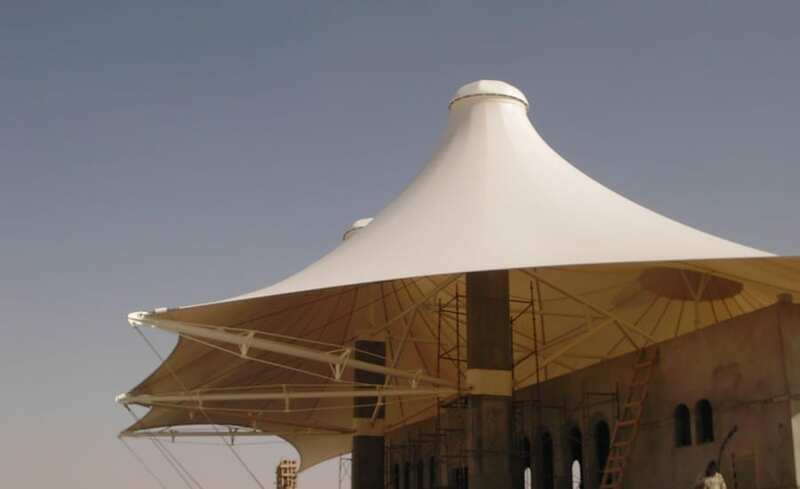 With over twenty years of experience in the design, manufacture and installation of tensile fabric structures, Architen Landrell has completed several large stadium projects throughout this time. 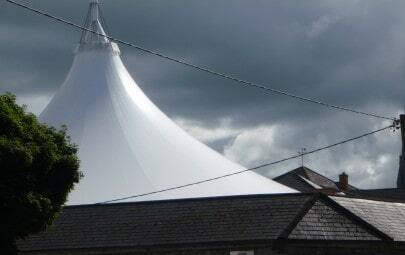 However none quite like this! Camel racing has been a traditional desert sport of Bedouin tribes for many centuries. While in the past races would involved thousands of camels racing across the open desert, modern races are held at the Riyadh Stadium on a large circular track. 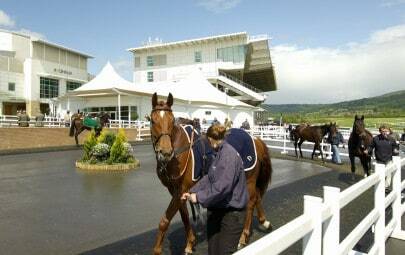 However the Bedouin history has not been forgotten and can still be seen in the tensile structures which adorn the grandstands. 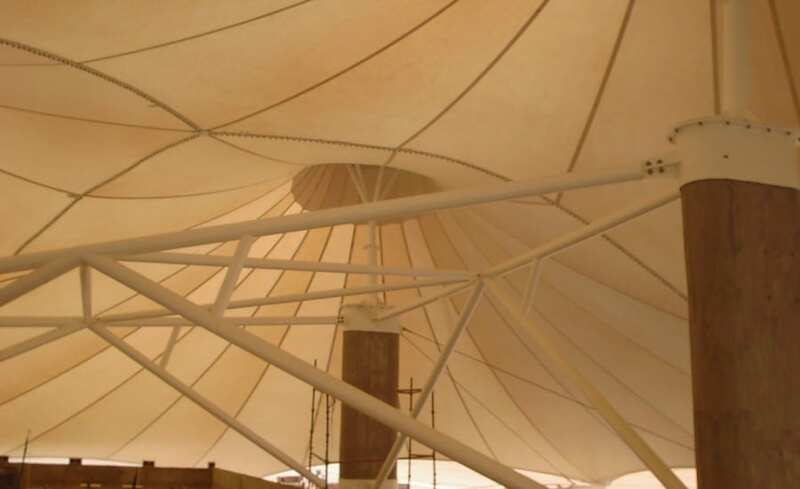 The relationship between Bedouin tents and tensile fabric structures has long been pointed out so it was an apt touch to include such a structure in the design and construction of the brand new stadium. 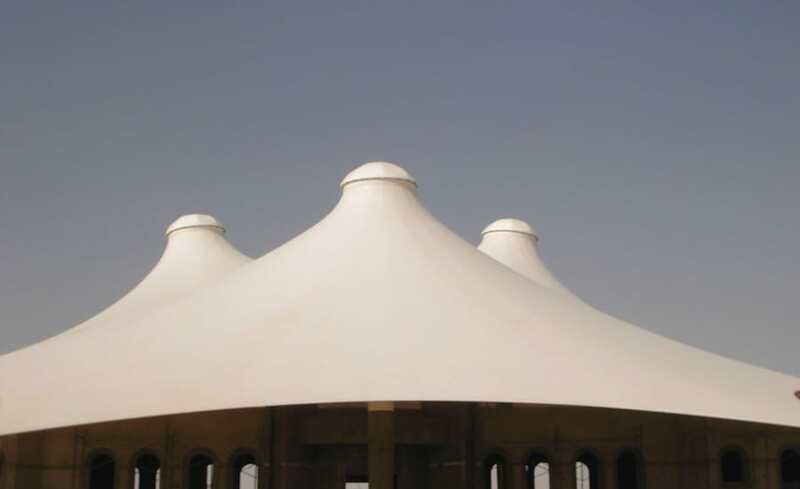 Working alongside Arab Membranes, Architen Landrell undertook the design, manufacture and installation of the double conic PTFE glass cloth canopy which forms a focal point for the stadium. 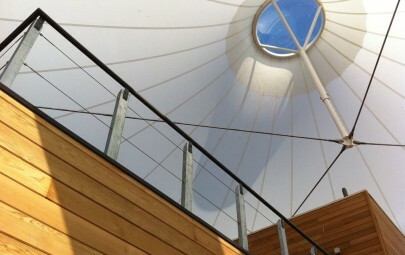 All manufacture was carried out from Architen Landrells office and factory is Chepstow, South Wales and shipped out to the Middle East for erection. 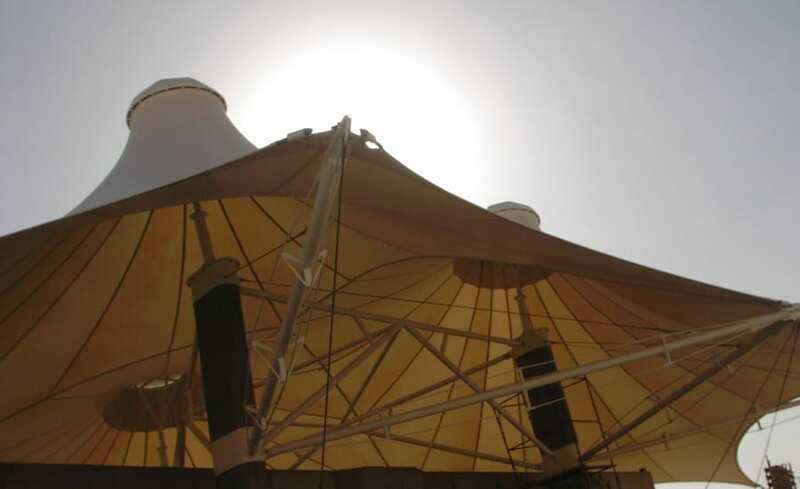 Despite blistering heat, the canopies have an extensive life expectancy and visitors can look forward to many more years of standing under the Bedouin style tents watching the races.